But how good are those goodies? Blizzard is running a cross-game promotion that offers World of Warcraft goodies in Overwatch for those that pre-order the new WoW expansion, according to the Overwatch patch notes. Well, that’s timely. Blizzard just released Overwatch’s Blizzard World map, which is a celebration of the developer’s past titles. Likewise, Overwatch heroes got new Blizzard-themed skins to go along with the new map. Now, Blizzard is offering up emotes, voice lines, sprays, and player icons to Overwatch players that pre-order the digital deluxe version of World of Warcraft: Battle for Azeroth. 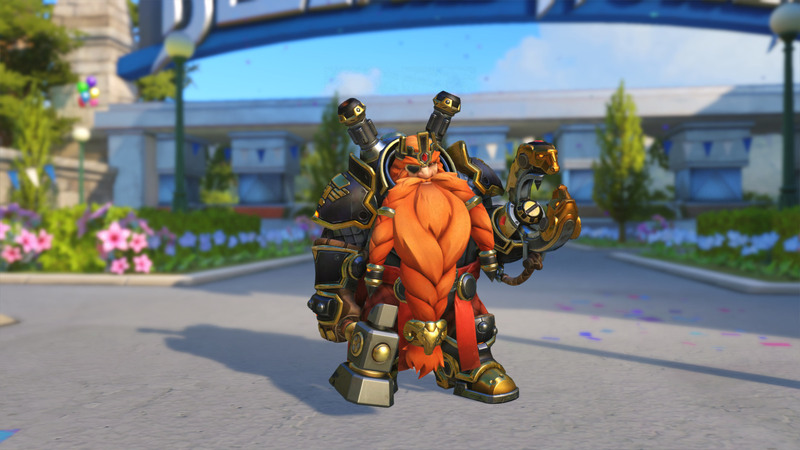 For pre-ordering Battle for Azeroth, players will get a Tracer emote, Horde- and Alliance-themed voice lines for Torbjörn, sprays of Anduin, Jaina, Sylvanas, and Saurfang, and player icons of Kul Tiras and Zandalar. Unless you’re a serious World of Warcraft fan or already planning on buying the new expansion, it’s not all too great of a deal. Battle for Azeroth was announced on Nov. 3 at BlizzCon 2017 in Anaheim, California. Blizzard hasn’t announced a release date yet, nor is there an official price. Legion was originally priced at $50 at launch, however, plus the monthly subscription fee. A beta period for the new expansion is expected to open soon.